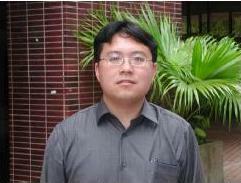 Yang Gao is a teacher in the Computer Science Department at the Nanjing University. He recieved his B.S. in Dalian University of Technology in 1993, M.S. in Computer Aided Design from the Nanjing University of Science and Technology in 1996, and Ph.D. in Computer Science from the Nanjing University in 2000. He won the IBM China Visitorship Program in 2003 and visited the ETI in HKU from June to September 2003. He visited the University of Western Sydney in Dec, 2004, the Hong Kong Baptist University from Jan., 2005 to Feb., 2005 and Massey University, New Zealand in Dec, 2006. My current research interests focus on multi-agent systems, machine learning, belief revision, and intelligent system. Xian-Xing Zhang, Hua Liu, Yang Gao, Derek Hao Hu: Detecting Abnormal Events via Hierarchical Dirichlet Processes. PAKDD 2009: 278-289, Best Student Paper. 汪栋,叶玉坤,高阳,等. 肺癌早期诊断新技术研究与临床应用. 中国人民解放军总后勤部, 军队医疗成果奖（二等奖）, 排名第三, 2010. Xingguo Chen, Yang Gao, Weiwei Wang. NJU RL Team. RL 2009 Competition, Tetris Event, Second Place, 2009.